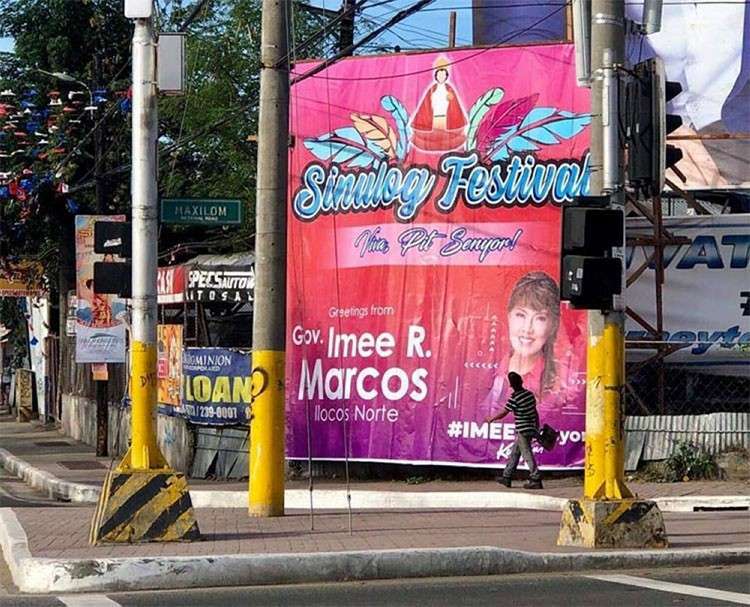 CEBU City Mayor Tomas Osmeña ordered the removal of the tarpaulin of Ilocos Norte Governor Imee Marcos that was found hanging along Gen. Maxilom Ave., which is part of the Sinulog grand parade route. The development came after Osmeña earlier ordered the removal of tarpaulins of any candidate who will use the Sinulog to gain mileage because he does not want the celebration to be politicized. A photo of Marcos's tarpaulin hanging along Gen. Maxilom Ave. was posted on Osmeña’s Facebook page. “Gov. Marcos, trust me when I tell you I am doing you a favor by taking this tarpaulin down. The Cebuanos do not appreciate the politicization of the Sinulog. This won’t be earning you any votes and is doing you more harm than good. Nothing personal. My own brother is running for senator and I didn’t invite him to come,” read the caption. Acting on the mayor's directive, Prevention Restoration Order Beautification and Enhancement chief Raquel Arce said they already removed the tarpaulin Friday, January 18. Even before the grand parade on Sunday, January 20, the mayor earlier said there are already those who sent feelers that they want to join the Sinulog. As a vote-rich city, national politicians are expected to troop to Cebu before the campaign period. Apart from removing the tarpaulins, Councilor Dave Tumulak already said earlier that any politician who join the grand parade on January 20 will not be allowed to give speeches so as not to hamper the flow of the program. 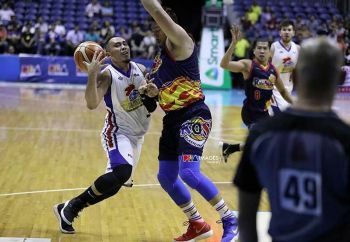 In his earlier news conference, Osmeña said only the president will be allowed to speak during program inside the Cebu City Sports Center on Sunday, January 20. However, President Rodrigo Duterte will not be joining the Sinulog celebration due to other urgent commitments.